Gandhi’s assassination was attempted from 1934 itself! When Gandhi ji returned to India, the first attempt to assassinate him was made on June 25th, 1934. Gandhi ji was on his way to address an assembly in Pune when a bomb was hurled at his motorcade. Gandhi ji was in the motor vehicle behind the one at which the bomb was hurled and therefore he escaped. This attempt to assassinate Gandhi was made by a group of Hindutva proponents. It was recorded in the police report that photographs of Gandhi and Nehru were discovered in the shoes of the culprit. In 1934, there was no such thing as Pakistan on the horizon so the question of Rs 55 crores did not arise. The second attempt to assassinate Gandhi ji was made in Panchgani in 1944. In July 1944, Gandhi ji had reached Panchgani to recuperate from illness. A group of 20 youths travelled by bus from Pune to Panchgani. They shouted anti Gandhi slogans the whole day. Gandhi ji invited Nathuram Godse, the leader of the group, for discussion but Nathuram Godse declined the invitation. In the evening prayer session, Nathuram lunged towards Gandhi ji with a knife in his hand but was apprehended by Manishankar Purohit, the owner of Pune’s Soorati lodge, and a youth named Bhilare Guruji. The third attempt to assassinate Gandhi ji was also made in 1944, in September 1944, in Wardha. Gandhi ji was about to leave for Bombay to hold a meeting with Muhammad Ali Jinnah. To prevent Gandhi ji from reaching Bombay, a group from Pune reached Wardha. A knife was recovered from G L Thane, a member of this group, and this fact is recorded in the police report. 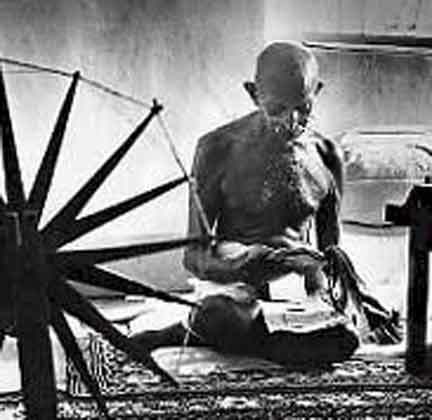 In his defence, Thane stated that the knife was brought to puncture the tyre of Gandhi ji’s motor vehicle. Pyarelal ( Gandhi ji’s secretary) has written about this incident: “This morning I telephonically received the information from the district Superintendent of Police that Swayamsevaks intend to indulge in serious mischief and the police will be compelled to take necessary steps. Bapu said that he would walk alone in their midst upto the Wardha railway station, unless the Swayamsevaks themselves change their mind and ask him to ride in the motor vehicle. The police Superintendent reached just as Bapu was about to set off and said that when every attempt to dissuade those sitting on dharna failed, he arrested them after issuing a warning. The leader appears to be a man lacking wisdom and of volatile character, he presents cause for worry. During the search carried out after his arrest, a large knife was recovered from him. “ ( Mahatama Gandhi: Poornahuti, chapter 1, page 114). In this manner, the plan of the agitating Swayamsevaks was foiled. In September 1944 too, Pakistan was as far away on the horizon as in July. At that time, from Pune, Nathuram was publishing a Marathi journal “Agraneel” . In one of the editions of “Agraneel” Nathuram wrote thus upon the expression of Gandhi ji’s wish to live for 125 years: “ But who will allow you to live?” That is, who will allow you to live for 125 years? This statement was made by Nathuram one and a half years before Gandhi ji’s assassination and establishes that he had been trying to kill Gandhi ji much before he actually did. This edition of “Agraneel” is available to researchers. The suspicion that Pakistan would be created was beginning to be felt in June 1946 but the issue of Rs 55 crore had not arisen at that time. Then, on 20th January, 1948, Madanlal Pahwa hurled a bomb at Gandhi ji during the prayer session, and on 30th January, 1948, Nathuram Godse assassinated him. With what face do you demand that Gandhi ji should have prevented the partition of India? What is the ethical basis of your expectation that Gandhiji should have fasted to prevent partition? To harbour such expectations of the person whom you consider a blot on the nation’s face, whose assassination you considered a necessity! Why did you not endeavour to prevent partition? Why did Savarkar, Hedgewar and Golwalkar not undertake a fast unto death to oppose partition? Why did they not launch a Hindu movement to oppose partition? You call upon the very person you abuse to save the nation! And when Gandhi ji fails to prevent the nation’s partition for reason of lack of support, you label him a monster and conspire to get rid of him! Should this be described as manliness or impotence?